The Canadian AIDS Society has established a Task Force to develop Canadian Clinical Practice Guidelines on the Use of Cannabis in the Management of Chronic Pain and Associated Symptoms. The Task Force is co-chaired by Dr. Ryan Conrad of the Canadian AIDS Society and Ms. Shari Margolese, Community Research Consultant and is comprised of 14 members to date, including people living with chronic pain, physicians, a nurse, researchers, and representatives from other national non-governmental organizations. The Task Force held its inaugural meeting in Toronto on November 1st, 2017 to develop the protocol for the development of the guidelines. The Task Force will meet again in the fall of 2018. 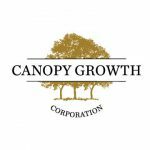 This research project has been supported by an unrestricted grant from Canopy Growth Corporation.